Gorah Elephant Camp is on a 1,820-acre private concession within the malaria-free Addo Elephant National Park in the Eastern Cape. Gorah Elephant Camp is crowded with elephants, who often come to Gorah's waterhole and entertain guests. Gorah recalls the opulence of a traditional safari with luxury, tented suites and verandas spilling out into the African plains. Meticulous attention to detail and unobtrusive service are hallmarks of the Hunter Family properties. 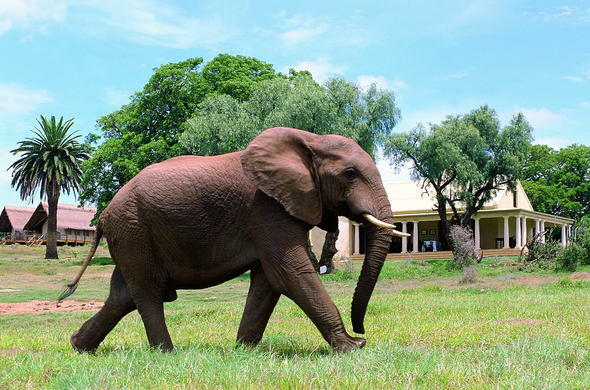 Gorah Elephant Camp is situated at the far end of the Garden Route in the Eastern Cape. Gorah's opulent colonial homestead has been immaculately restored to its late 19th century splendour and furnished in period to portray the noble age and romance of safari.